Why buy Methylcobalamin Vitamin B12? Vitamin B12 plays a vital role in our body processes. It's important in the production of red blood cells (vegetarians and vegans may particularly benefit best from supplementing with Vitamin B12) and essential for cell replication. It also assists in helping our body convert food to energy. B12 is particularly acknowledged for its benefits to the nervous system as well as the immune system. It is available in two forms - Cyanocobalamin or Methylcobalamin. Methylcobalamin is the natural form of Vitamin B12. The body actually converts Cyanocobalamin into Methylcobalamin, which is the form the human body needs to function properly. This makes it more readily bioavailable - meaning it is more easily absorbed into the system. What are the benefits of a Vitamin B12 supplement? As time goes by, Vitamin B12 levels decrease in our blood, so older people may benefit by supplementing in terms of their general well-being. Vitamin B12, when combined with Folic Acid, may help maintain the heart, as together they are thought to help process levels of an amino acid called homocysteine. 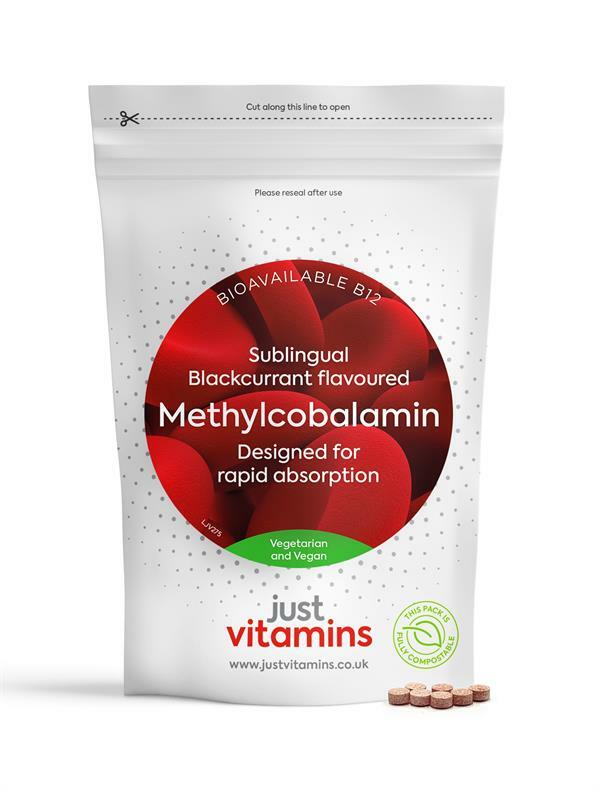 Just Vitamins Methylcobalamin tablet has been developed to allow sublingual administration (to be placed under the tongue and left to dissolve) if preferred. The tablet is blackcurrant flavoured, so tastes great too! You can of course, chew or swallow whole if you prefer, although sublingual administration is thought to offer the best and a more direct, and undisturbed route to the blood-stream. Excessive consumption may produce laxative effects. Do not exceed the stated intake. Sorbitol, Stearic Acid, Beetroot, Blackcurrant, Magnesium Stearate, Methylcobalamin (Vitamin B12). 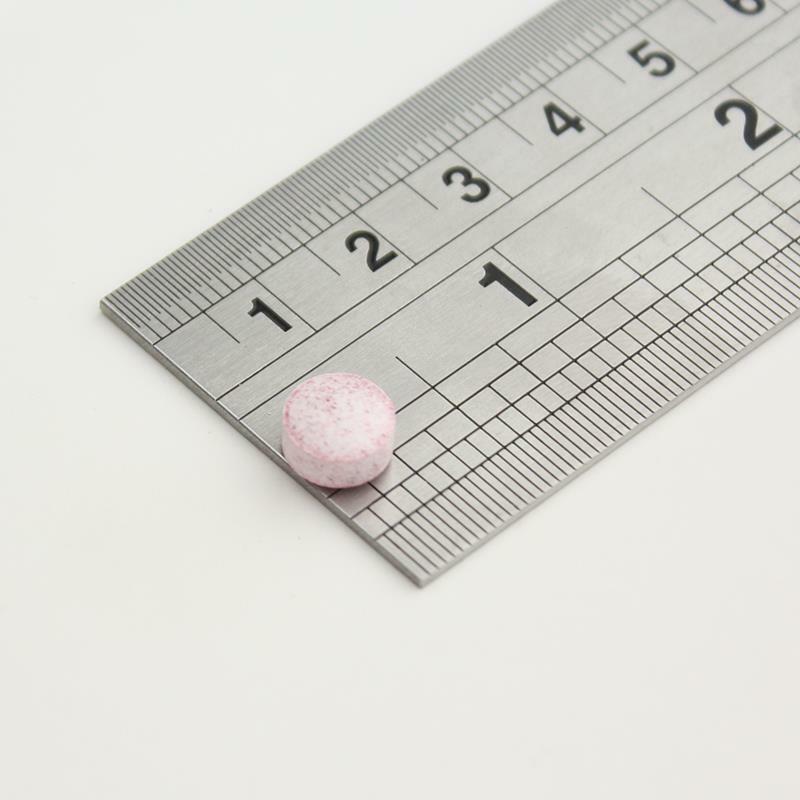 Take one tablet per day with food or as directed by your health professional. Best taken sublingually (allow to dissolve under the tongue) but can be chewed or swallowed.